The wonderful Deirdre from A Burst of First is organizing our next meet up. I'm very much looking forward to meeting up with the new friends I met this past summer and I can't wait to meet even more new friends on Saturday. There were five of us in Newport and Deirdre tells me that we are up to 10 or 11. Our little group is growing! If you'd like to join us, please email Deirdre. Her information is below. Hope to see you there! Just stopping by to show some love! See you Saturday!!! P.S. LOVE your blog!! 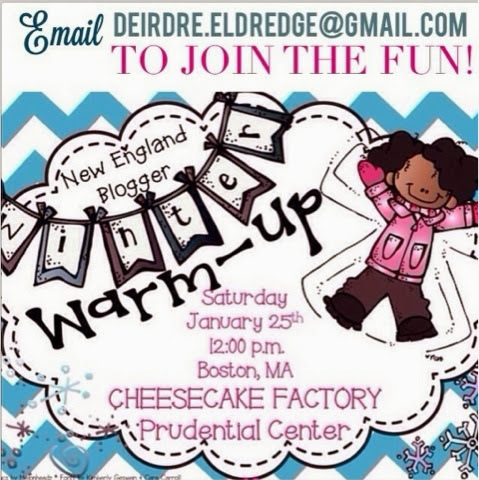 I'll be attending on Saturday, I can't wait to meet local bloggers!